Order in the next 5 hours 17 minutes and your package will ship on Monday, April 22. 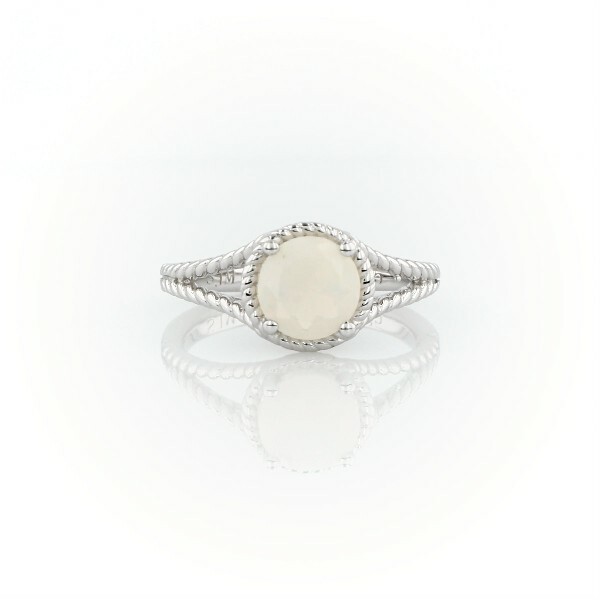 Utterly wearable, this opal rope ring is crafted in polished sterling silver. A single vibrant, translucent opal gemstone is framed by classic rope details creating an iconic, colorful ring. While perfect for any look, opals are a softer gemstone and not recommended for daily wear.